The premise is that you are watering a plant. Hence the name “Plant Nanny”. You start out with a “baby” plant and as you water it (with the water you drink), it begins to grow. Eventually you will bring that plant to “adulthood” and start with a new plant. It’s really cute and it feels like a game which makes keeping up with your water intake less of a chore. Plant Nanny does not assume you’re drinking out of a 16 ounce water bottle or an 8 ounce glass. You can tell the app what you’re drinking out of. If you don’t know the exact ounces then you can choose from about six or seven cups and pick what looks closest to what you’re drinking out of. And you can change this every day if you need to. So one day you may be drinking 4 cups that are 16 ounces each and one day you may be drinking 9 cups that are 8 ounces. But it’s still around the same amount of water unless you change your body and lifestyle information. 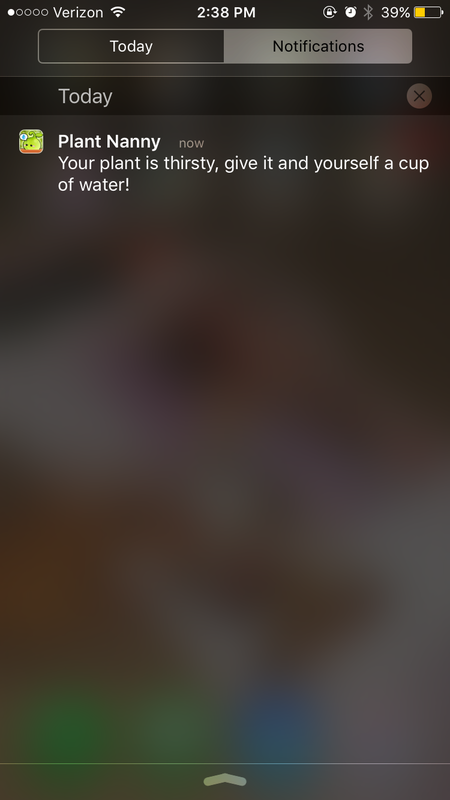 If you have yet to reach your water intake goal for that day, the app will notify you. This really helps me on the weekends when I’m out and about. The weekend is when I’m least likely to drink the right amount of water. At work, I have the cup right in front of me so I can’t forget. But on the weekends, I can go hours before I think about drinking anything. 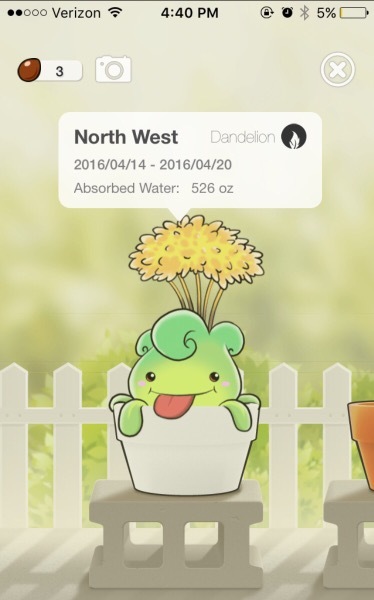 So after about four hours without water, the app will remind you that you need to water your plant. Because if you don’t, I can only assume the plant will die. I haven’t had a plant die on me yet so I’m not sure. And I don’t think I want to find out. Just like any game on your phone that has a list of achievements, Plant Nanny has that as well. 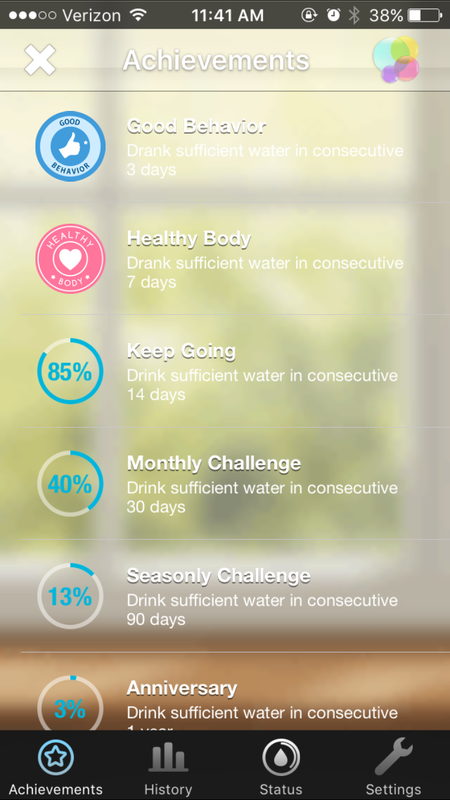 An example of a Plant Nanny achievement is meeting your water intake goal for 7 days in a row. I just hit that achievement yesterday. You don’t actually get anything but I think it’s nice that the app keeps track of that. For me, that’s motivating because there will always be something that I haven’t achieved yet. I can’t say enough good things about this app, so I will just end this by saying that you have to try it for yourself. You won’t be disappointed.